Our garages are delivered fully assembled to your prepared site... or we can build on site. Also available in kits for the do-it-yourselfer. 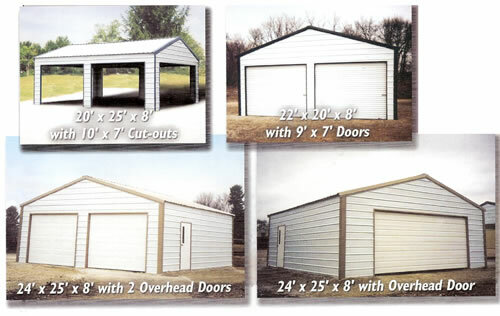 Portable buildings custom built and designed for use as portable garages. ...you have a choice of paint, vinyl siding and shingle color from our charts. Garages are available with overhead garage doors in single and double wides! Our garages come in painted wood, vinyl siding, or steel (as shown below). With a custom designed portable garage, you can select each feature. Check out our FAQ page for information about delivery and setup in the Maryland, Virginia, West Virginia and Pennsylvania region. Note: Portable garage styles, availability, and prices are subject to change without notice.